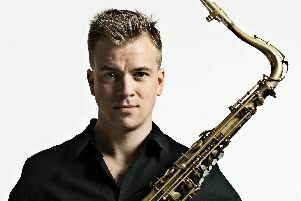 Clitheroe Concerts’ 67th season continues the theme of bringing some of the very best international recording musicians to Clitheroe. After acclaimed UK, Romanian, Israeli and Norwegian dancers and musicians, the society is presenting a guitar quintet from Vienna, comprising of Russian, Japanese, Austrian, Bulgarian and Hungarian ladies. After forming in 2001, Gitarrissima of Vienna was soon winning guitar competitions and recording. They will be performing their Christmas concert at the Clitheroe Royal Grammar School on December 12th. Reflecting the international nature of Christmas, they will be playing music from Carmen and Swan Lake to Gershwin’s Porgy and Bess, as well as folk based music from South Africa, Japan and Greece. Clitheroe Concerts play their part by having Christmas drinks and mince pies in the interval. This is an unmissable concert for both guitar lovers and everyone who wishes to start the season on a high note. Further details can be found on clitheroeconcerts.org where tickets may be ordered online. Tickets can also be bought at the Platform Gallery or at the door on the night, subject to availability. Entrance is from York Street. The entry fee includes free parking, and a programme booklet available on the night, containing details of the players, the music to be played and the composers. These have card covers and are contain colour pictures. Entry is £17 with accompanied children and full-time students being charged only £5.